The Network Arborist: Creating my first OpenStack cloud platform and connecting it to a physical network. Creating my first OpenStack cloud platform and connecting it to a physical network. In my quest to learn more about network virtualization I decided to learn more about OpenStack as a cloud platform. So I started from scratch and tried to install Openstack. I decided to use the havana version because icehouse just came out and I wanted to wait until after the bugs were fixed. After doing a bunch of yum installs I had it working. I was actually able to create a few VMs using the Cirros Linux image and created a simple network. I was able to ping from one VM to the other. However the documentation was not clear on how to connect your VMs to the outside world through a physical network. I decided to use eth0 as my management ip to access Openstack and use eth1 as the port for the VMs to connect to the physical network. I also learned that OpenStack uses OpenVswitch and Neutron for network connectivity. You have to learn a little bit about OpenVswitch on a server. This led me to make the following changes. I duplicated (to backup) and changed the following files. Then I tied the eth1 interface to the bridge "br-ex"
"br-ex" was automatically created on my server, but if it's not there, you should create a bridge (ova-vsctl add-br <NAME>) and associate the physical interface (eth1) to that bridge. Red hat wants you to restart nework services after making the changes. However when I issued that command, in ifconfig I would see that eth1 still had an ip address and br-ex was not updated. So I rebooted the server. After reboot all was well. Next I created the tenant subnet, vm and the openstack router. Next I followed the instructions on creating a public network. I added a floating ip. 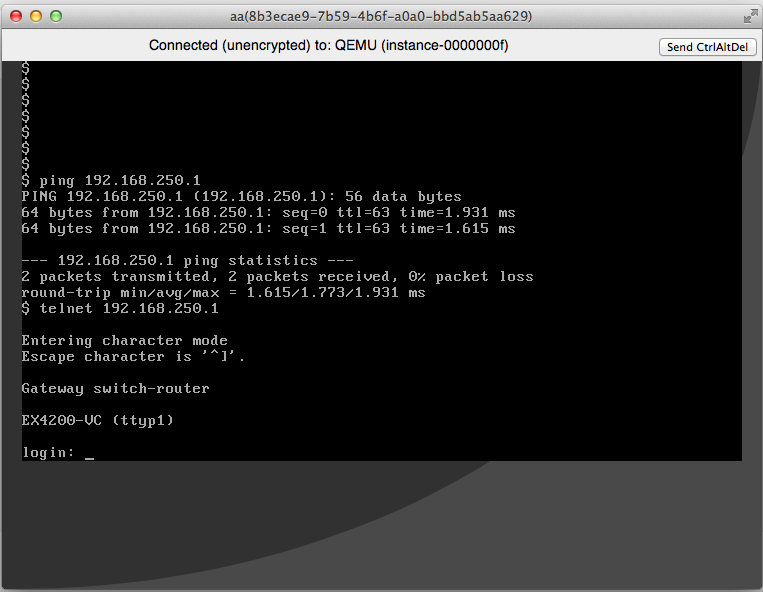 By default packstack creates a demo public network, with a subnet that I was not using. So I cleared the gw of this first. Then created a router using Horizon. Then I tied the router to the public subnet. One thing that threw me off during the whole process was trying to figure out if the openstack Gateway IP was working or not. I noticed that the status kept saying down. After googling it, I found out that this was a bug and a display issue. 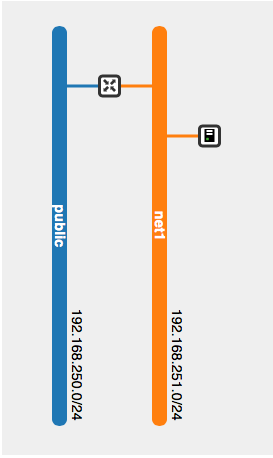 So you can't tell if the gateway ip is actually working or not because the status is broken.